Jaguar's first electric vehicle, the I-Pace, has made its first outing on British roads around London’s Olympic Park. 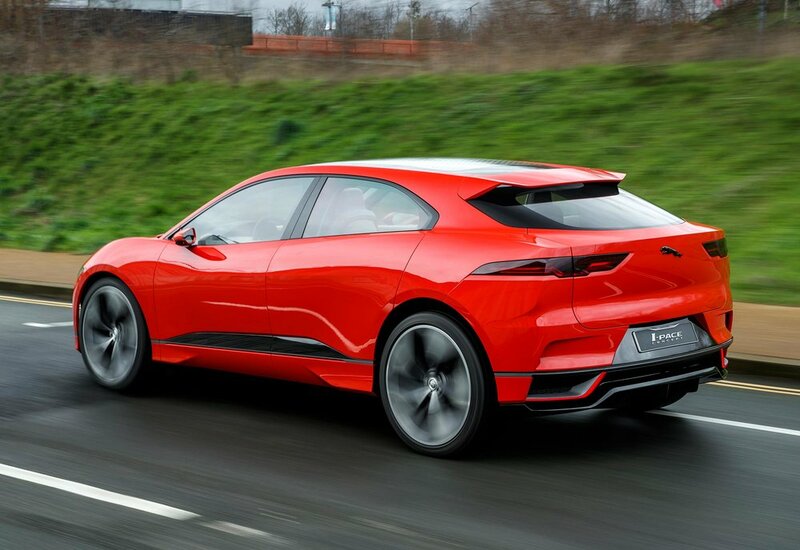 With compact and lightweight electric motors at the front and rear axles generating a combined output of 400PS and 700Nm of torque, Jaguar says the I-Pace promises to deliver high levels of ‘agility, ride comfort and refinement’. The new model will accelerate to 60 mph in around 4 seconds, with a range of more than 310 miles (NEDC cycle) from the 90kWh lithium-ion battery. According to Jaguar, charging will be quick and easy, with an 80 per cent charge achieved in 90 minutes using 50kW DC charging. Previewing the brand’s first electric vehicle - which will be revealed in production-ready guise later this year and on the road in the second half of 2018 - Ian Callum, Director of Design, Jaguar said: “The feedback on the I-Pace Concept has been fantastic. With the I-Pace Concept we’ve torn up the rule book to create a vehicle with supercar inspired aesthetics, sports car performance and SUV space, in one electric package. It has surprised people and the enthusiasm for our first electric vehicle has been beyond all my expectations.